Provides instant protection upon application. Reapply every two hours and after swimming, perspiring, or towel drying. 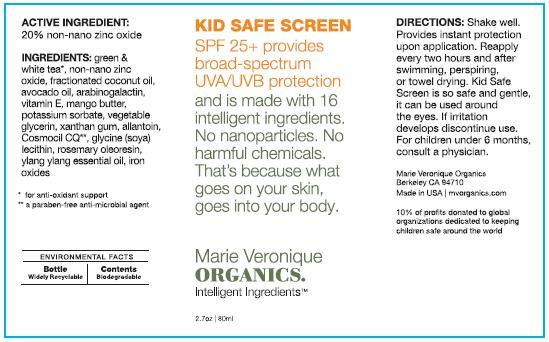 Kid Safe Screen is so safe and gentle, it can be used around the eyes. 10% of profits donated to global organizations dedicated to keeping children safe around the world. SPF 25+ provides broad-spectrum UVA/UVB protection and is made with 16 intelligent ingredients. No nanoparticle. No harmful chemicals. That's because what goes on your skin, goes into your body.